Yes Bella is away from us now.. she’s in Seremban with her mamatok and babatok for the school holiday!! Not for long, only 3 days 🙂 She left us yesterday and insyaAllah coming back to KL tomorrow. As hard as it is for us, it’s good for her to learn to adapt in different environment..
Our house is so quiet right now, just me and hubby watching our fish in the aquarium..
Posted on June 8, 2012 by Dr Halina Mohd YunosPosted in MommyhoodTagged grandparents. Previous Previous post: Invasion of Little B!! Next Next post: Weaning B Off Mommy’s Milk..
Hahaha…xleh tahan “watching our fish in the aquarium” tu…. 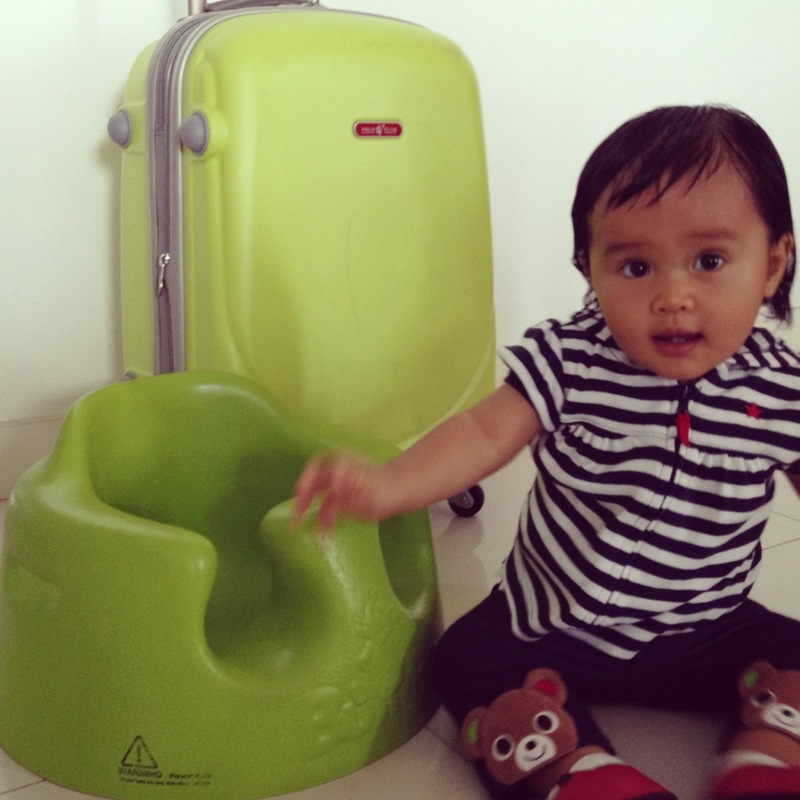 semangat bella n happy jer nk g holiday~~ =) die tak nangis ke doc? wah! bella’s baggage in lime green color! so sweet :)! yeah..so cute bella with her new hair..
another space for 2nd honeymoon dr2.. heee..
well i gues it’s honeymoon time – weee…. First time ke ni Bella balik kampung without both of u? ouh…mesti boring bella x de kat umah kn? Dr, bagaimana dengan stok susu bella? Bella dah x BF lagi ker? give us tips doc! She still does.. I gave frozen breast milk to my mom so she can just warm it up.. I have a lot of frozen of breastmilk stock so I just gave it to my mom..
bestnyer banyak stock.. myself, once da start kerja with all the meetings and datelines and not forgetting stress, milk production decreased.. my first son, i managed full 6 months BF n campur with formula till 1 y.o.. second last five months jeks.. pastuh dah full formula till now.. sedey nye… u still express BM masa keje ker? mmg sunyi kan kalau anak tak der kat umah ….belle is so adorable …. wah..kagumnya dgn bella. dh mcm budak besar la.. n kagum juga dgn both of u, (mommy n daddy Bella), the way u treat her is really amazing! don’t forget to share tips with us! dia x ngs ke ble tido umah atuk dia?? my daughter x boleh tido dgn org lain.. mesti nk me or my hubby ade.. br dia tido.. i pernah htr my daughter tido umah my sis since cousins dia sme ade.. tp mlm dia ngs.. so midnight pon, ktorg gi amik dia from my sis house..
Salam Dr, Bella balik kg ? Kira Mama and Daddy jadi pengantin baru la ni. Sure Bella dapat adik tahun depan he he he.